Twenty councillors on Dublin City Council attempted to have motoring “recognised” in a sustainable transport policy in the city’s development plan. They were, however, voted down by a majority of councillors. 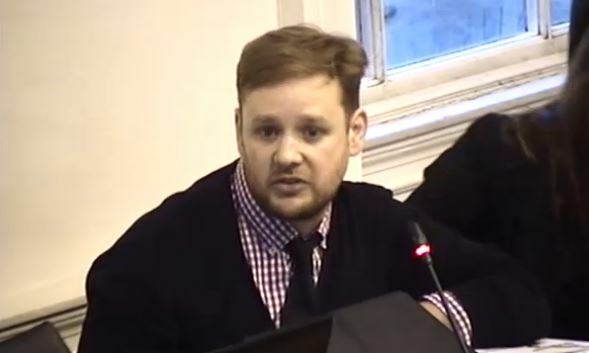 The change was put forward by Cllr Nial Ring (independent), who has objected recently to more than three cycle routes, which qualifies him as a serial objector. 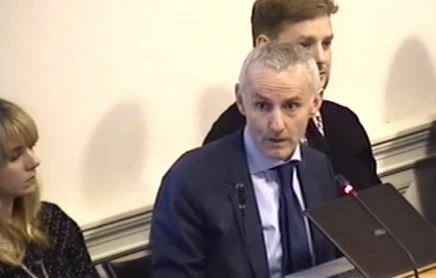 One of his objections was to save the “mental health” of motorists, while he called the Liffey Cycle Route “madness” and claimed this month that he thinks nobody is in favour of the most popular option. The reason for this, he said, was “To ensure that Dublin City Council cannot be accused of having an anti-motorist bias.” The amendment to the policy failed, with 20 voting for and 27 against. The city manager said that “a balanced approach is taken” by the plan, and that the amendment would go against the target of reducing the total share of car commuting from 65% to 45% by 2020. 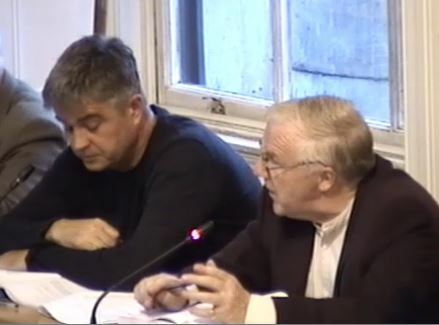 At a special meeting of Dublin City Council on September 16, which covered the city’s next development plan, Cllr Ring claim that people were reading too much into his motion and that he just wanted motoring “recognised”. He said that motorists need to be recognised and that this is not the case in this or previous development plans. 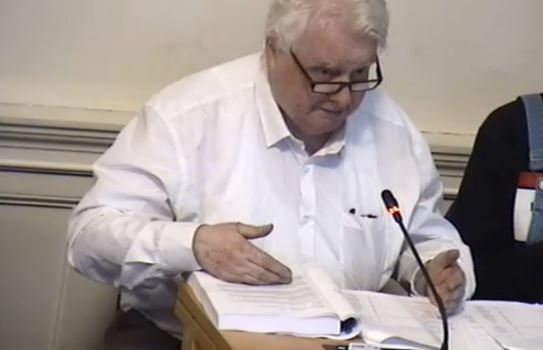 While he said motorists paying “car fines” and clamping fines were a positive thing — both of which require motorists to first break the law — he said that people who cycle must obey the law. 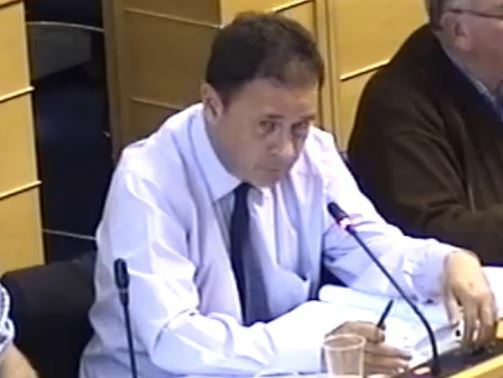 “And there’s been a driven policy of this council to remove motorists and introduce cycle lanes. I’ve no problem with that, as Cllr Cuffe knows. But cyclists too must obey all rules and all laws made within the land. But I certainly would not hang the motorist out to dry as they have been to the forefront of very difficult times. For that reason I’m supporting the motion,” said Cllr Burke. 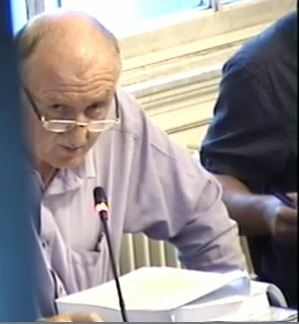 Cllr Paddy Bourke (independent) claimed that motorists spend more in retail and said that “We should not be targeting the motorist”. 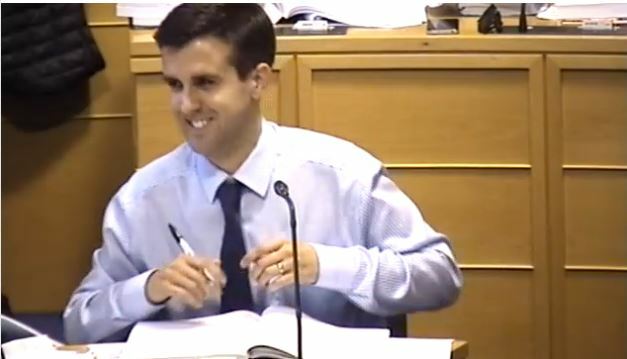 Cllr Paddy McCartan (Fine Gael) said that he is sometimes seen as anti-car and that he gave up driving 12 years ago, but he strongly supports the motion. I wish they would use the tactic of putting walking above cycling. It’s far harder to demonise people who walk, and they’re clearly the majority transport mode in the city centre already. And they’re probably the least well served transport mode as it is. Clamping fines! Hilarious. “Broken window fallacy” to the max (destruction and the money paid to recover from destruction is beneficial to the economy). Not to mention that according to the 2014 parking appeals annual report, Dublin City Council spent €7 million on clamping services which yielded €4.2 million in revenue, leaving a shortfall of almost €3 million. Go figure! The argument that cars ‘help’ the economy is depressingly shortsighted. I look forward to a staunch defence of graffiti artists by Cllr Burke, and the generous fines they pay for the upkeep of the city. Not to forget, burglaries – sure they help the black economy and ensure that the Gards are gainfully employed. If we didn’t have burglaries then all the Gards would lose their job. In fact I think we need more people to move into the criminal fraternity for the sake of the economy.